Sweet potatoes are packed with various health benefits that many people are unaware of. Check what this vegetable has in store for you. While white potatoes’ high glycemic index means that their carbohydrates are quickly converted into sugar and a corresponding elevation in blood sugar levels, sweet potatoes are different. They fall much lower on the glycemic index which is better for avoiding sugar crashes and better for diabetes control, according to the American Journal of Clinical Nutrition. Sweet potatoes in moderate amounts can help maintain healthy blood sugar levels even for those with diabetes. 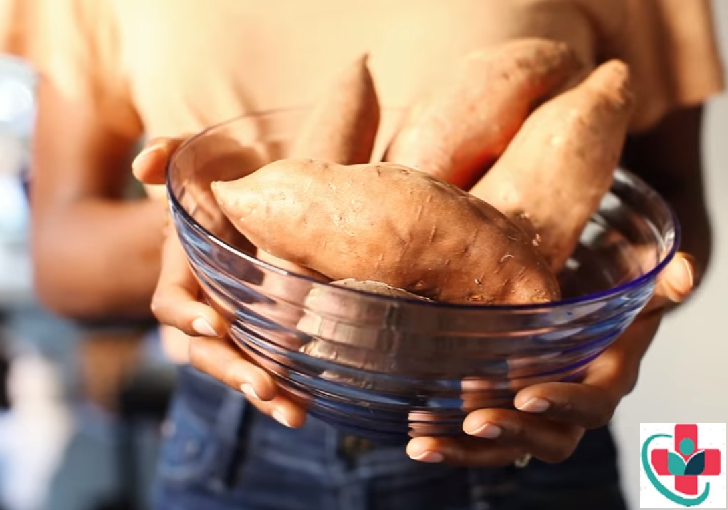 One medium sweet potato with skin provides roughly between 4 to 6 grams of fiber, which doesn’t make them the highest fiber source from the plant world, but they pack a nice punch and are commonly included with foods recommended as good sources of the stuff. The National Institute of Medicine set the Dietary Reference Intake for fiber at 21 to 25 grams a day for women while men should get 30 to 38 grams per day. Most people don’t reach these levels. Fiber appears to reduce the risk of developing various conditions, including heart disease, diabetes, diverticular disease, and constipation. A study by the Harvard School of Public Health's Department of Nutrition found that for younger men, beta-carotene — a fat-soluble plant pigment that can be converted into vitamin A — could provide protection against prostate cancer. Meanwhile, a Japanese study revealed that beta-carotene may decrease the risk of colon cancer. Sweet potatoes have the highest amount of beta-carotene of all fruits and vegetables. All that beta-carotene is great for the eyes as well. Ophthalmologist Jill Koury, M.D., says that vitamin A deficiency causes the outer segments of the eye's photoreceptors to deteriorate, damaging normal vision. Sweet potato’s high antioxidant levels from vitamins C and E are also very kind to the eyes and may prevent degenerative damage. While huge amounts of manganese aren’t healthy, experts estimate that up to 37 percent of Americans don’t get the recommended dietary intake (RDI) of manganese in their diet. Along with promoting good bone health, one study found that boosting manganese intake from 1 mg to 5.6 mg of dietary manganese per day helped women with PMS to have fewer mood swings and cramps. Plant-based iron, like that found in sweet potatoes, can potentially promote fertility, according to the Harvard Medical School. The vitamin A from sweet potato’s beta-carotene is also important for hormonal health during pregnancy and lactation. Sweet potatoes are a good source of choline, a micronutrient in the B-vitamin family. While choline is readily available in meat and eggs, good plant-based sources are harder to come by — but sweet potato can be counted as one of them. Choline helps with sleep, muscle movement, learning, and memory, among other things, but it is also important in reducing chronic inflammation.